A well-built retaining wall holds back the soil in areas where there is a definitive change in grade and can also be used on level ground as a means of elevating your home, garden, or driveway. As an integral part of your landscape, the overall design of your retaining wall should also be aesthetically pleasing to enhance curb appeal and add value to your property. 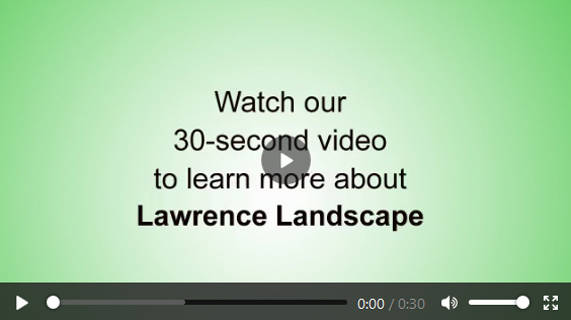 With over 30 years of experience in all aspects of landscape design, construction, and maintenance, Lawrence Landscape has the knowledge, qualifications, and expertise needed to complete your next project. Our innovative design team will carefully analyze your property to ensure your retaining wall will provide the structural support when and where you need it, utilizing the finest quality materials to build this useful landscape element. Call us today at 785-843-4370 to get started on your retaining wall design in the Lawrence area, or contact us online to schedule a consultation. Erosion occurs when wind or rain blows or washes away the soil from your yard. While erosion is prevalent in every landscape, it is of particular concern on sloping land where there may not be any trees or shrubs to help anchor the soil in place. As water flows down the slope, it carries soil, nutrients, and fertilizer with it, reducing the stability of the area. A retaining wall solves this issue by holding the soil in place, reducing the grade, and controlling runoff. Sloped areas can be challenging to landscape and maintain, and accessibility may be difficult. 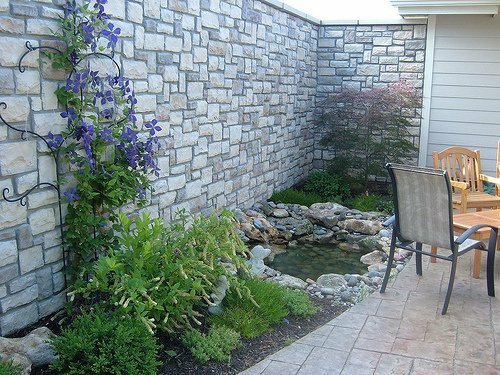 The construction of retaining walls can help by creating functional, usable levels or terraces which can then be used for planting, patios, hardscaping, and more. Professional landscape design increases the value and aesthetics of your home—and the addition of a retaining wall can help to enhance curb appeal further by creating definition and increasing the availability of land for plants and flowers. A retaining wall is a safety feature which helps to contain soil and prevent it from sliding downhill. Depending on the configuration and grading of your property, a retaining wall can help prevent damage to your home and evade erosion, sinkholes, or flooding. The type of material used is based on a number of important factors including durability, height, moisture, and aesthetics. We’ll work with you to choose the right material for your retaining wall installation that will not only look good, but also stand the test of time. While it’s important that your retaining wall looks good, it’s even more important that it is structurally sound. Your design begins with a thorough assessment of the land to determine the grade, soil conditions, and drainage issues. The team of experienced professionals at Lawrence Landscape will ensure the grade is set properly and any drainage concerns are addressed, and that you are satisfied with the design. Proper excavation and preparation is required to ensure there is a solid foundation prior to construction when our skilled crew will complete your installation using the finest quality materials and unparalleled craftsmanship. 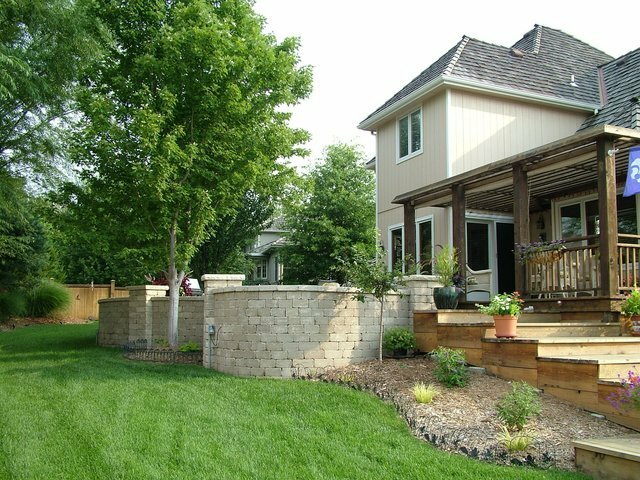 Call us at 785-843-4370 for superior retaining wall design and installation in and around the Lawrence area. Contact us online to request a quote today!